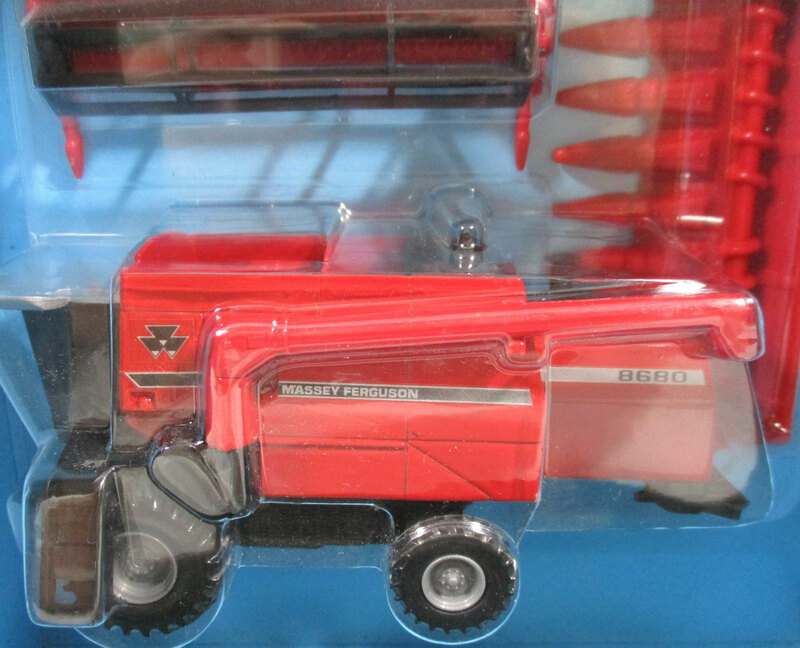 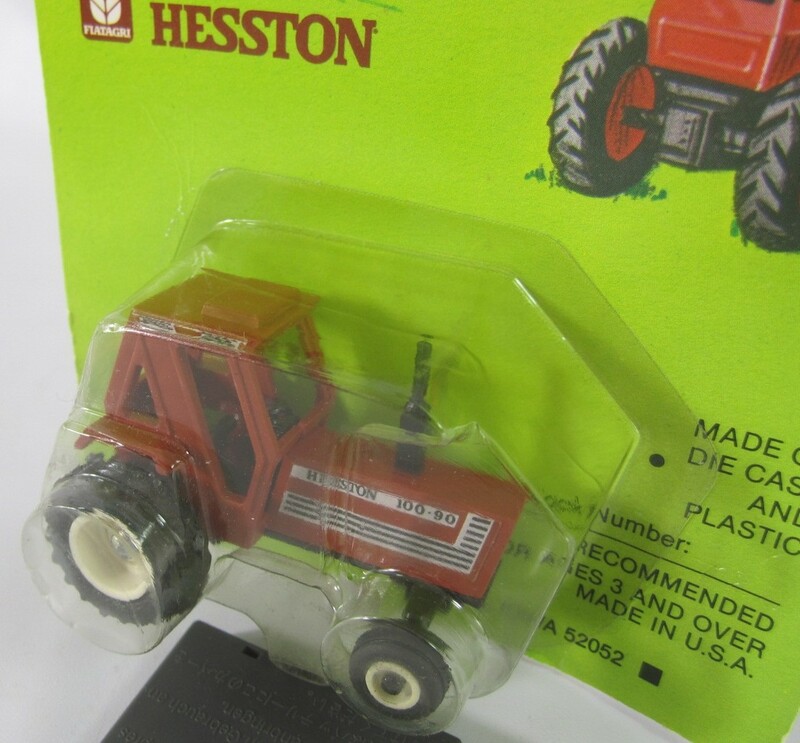 Tractors Included are individually boxed. 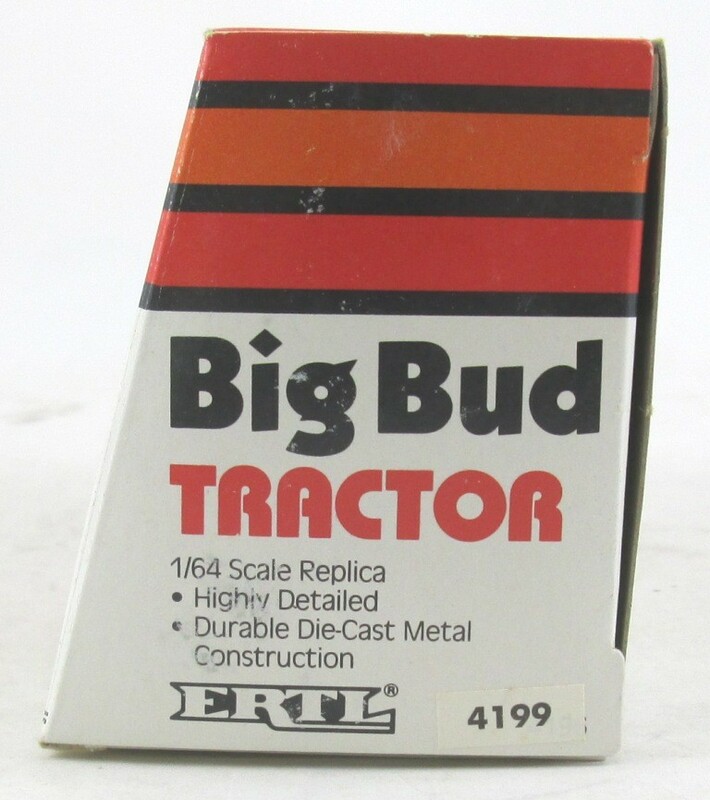 Comes to only for $4.00ea. 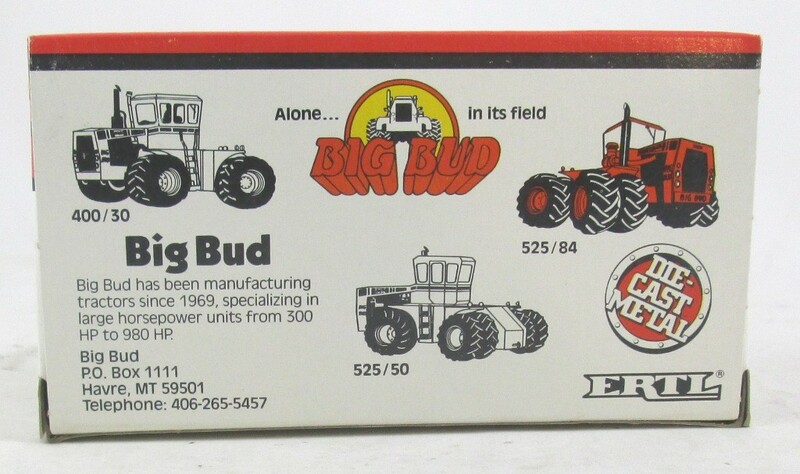 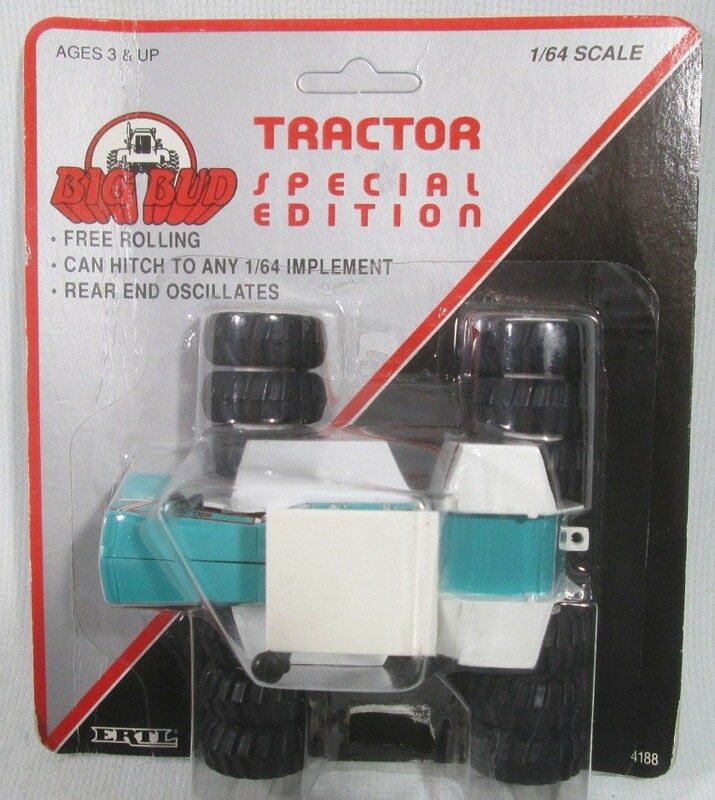 Ertl Stk# 4199 Big Bud 525 / 84 Four Wheel Drive Tractor in 1/64 scale. 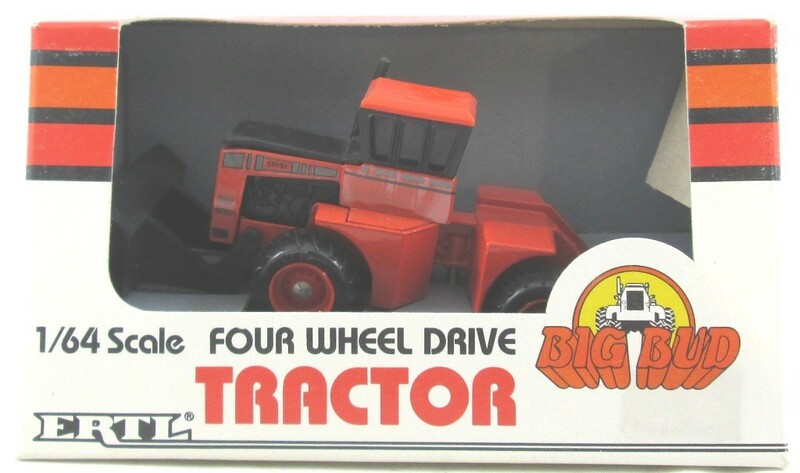 Orange with black hood version, front scoop. 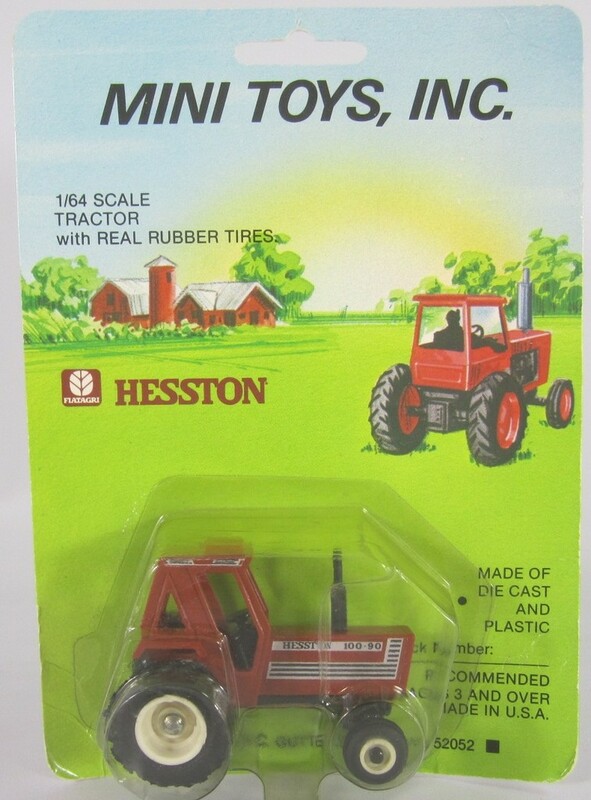 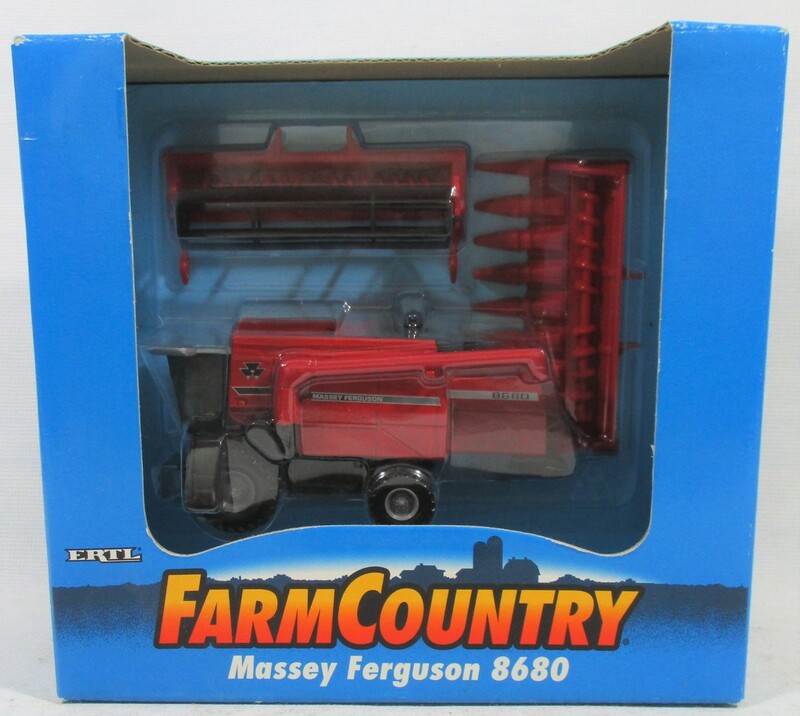 Mini Toy's Inc. Hesston 100 90 Tractor in 1/64 scale. 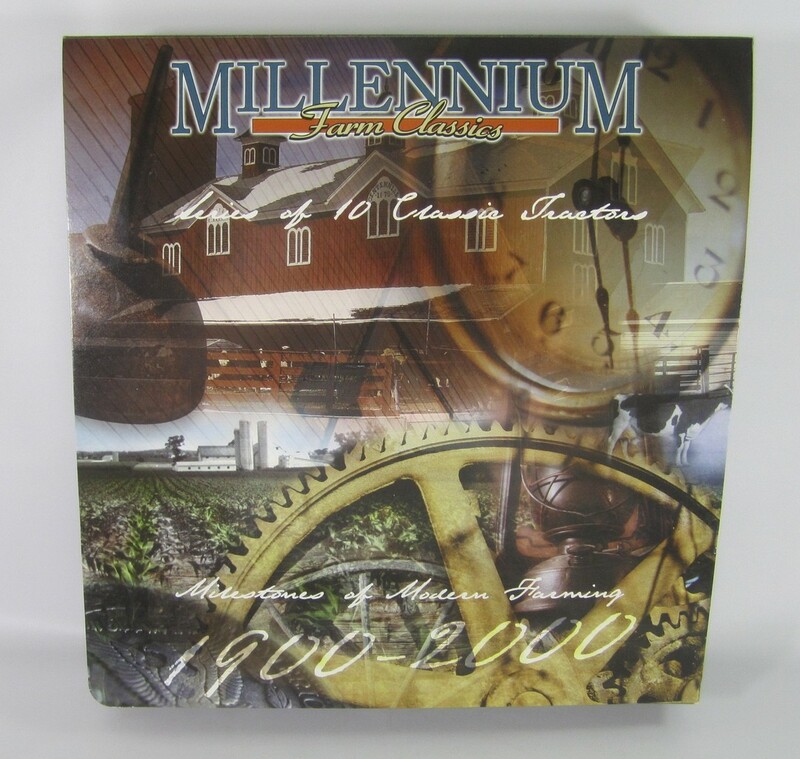 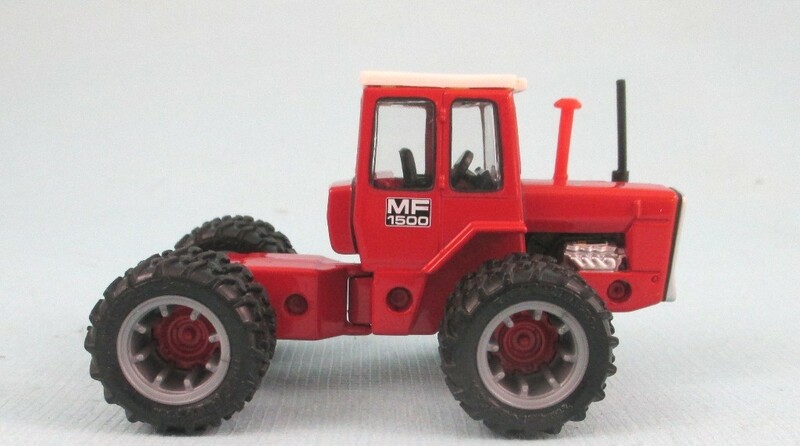 Made of Diecast and Durable plastic in the USA with real rubber tires. 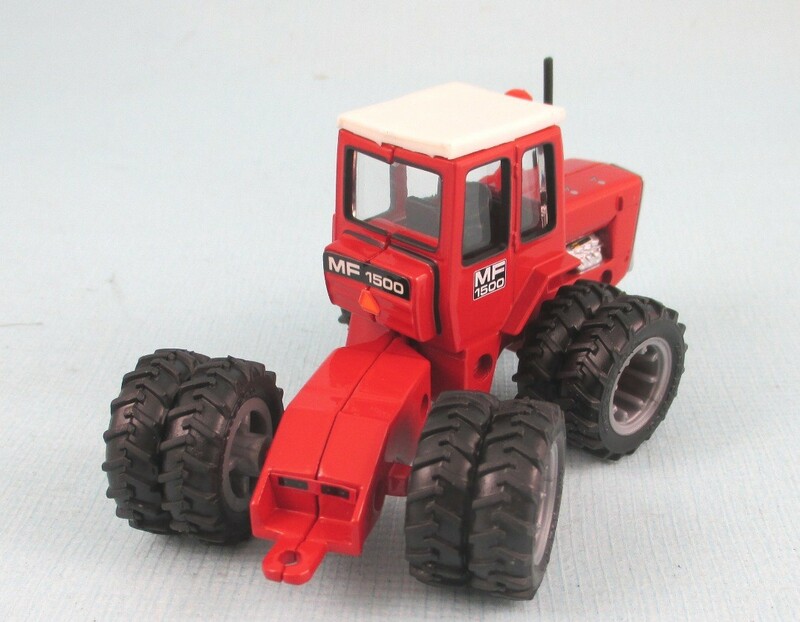 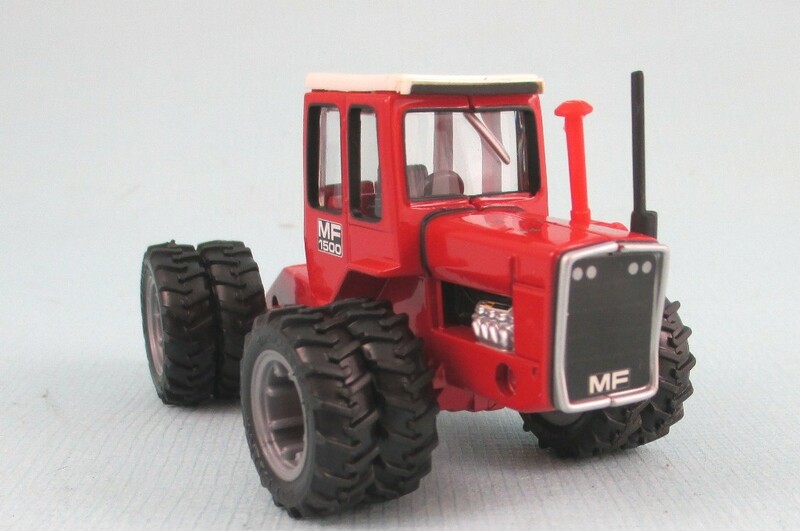 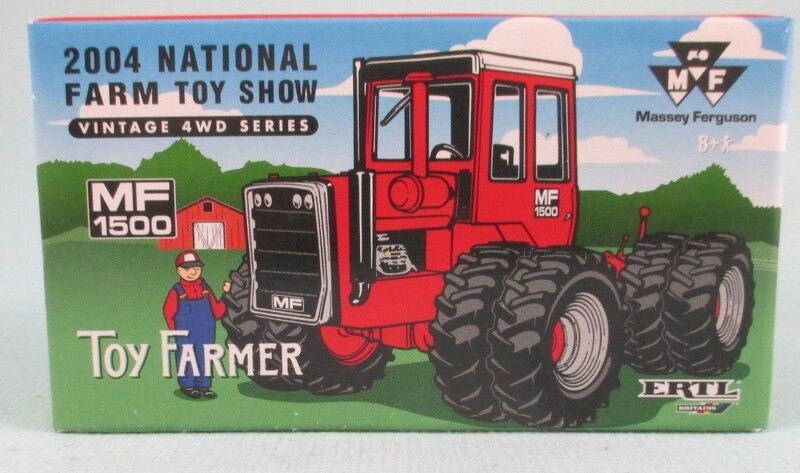 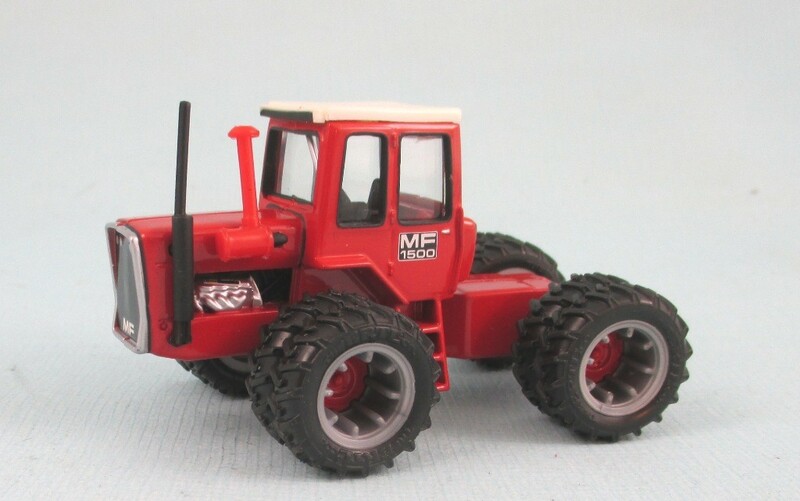 Ertl Stk# 16118A MF 1500 4 Wheel Drive Tractor in 1/64 scale. 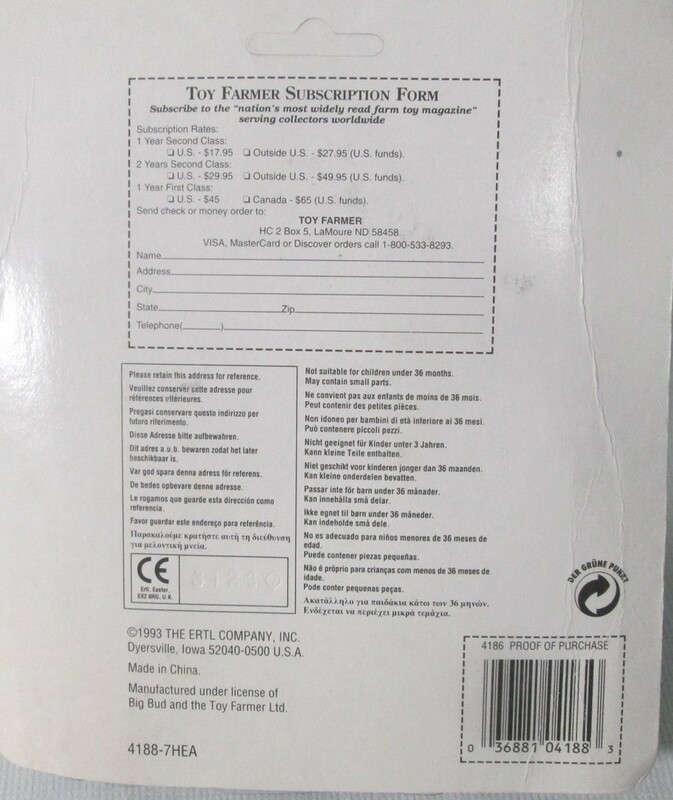 New in Package, Opened only for photos. 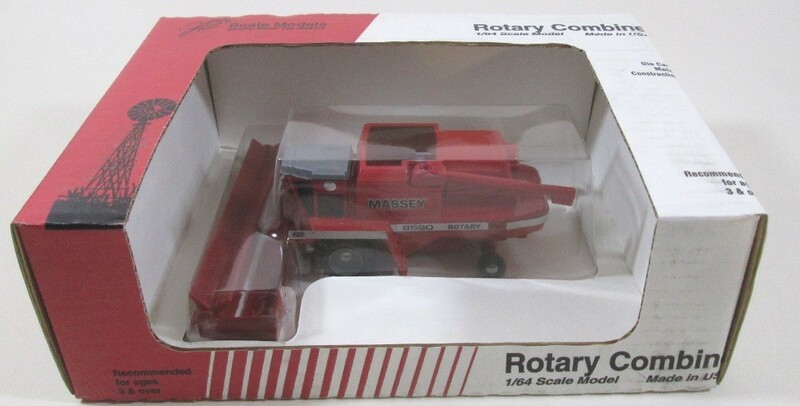 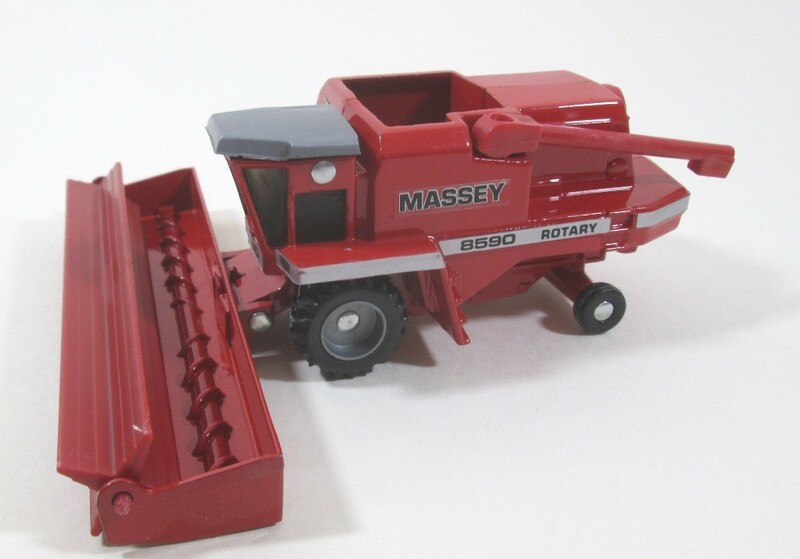 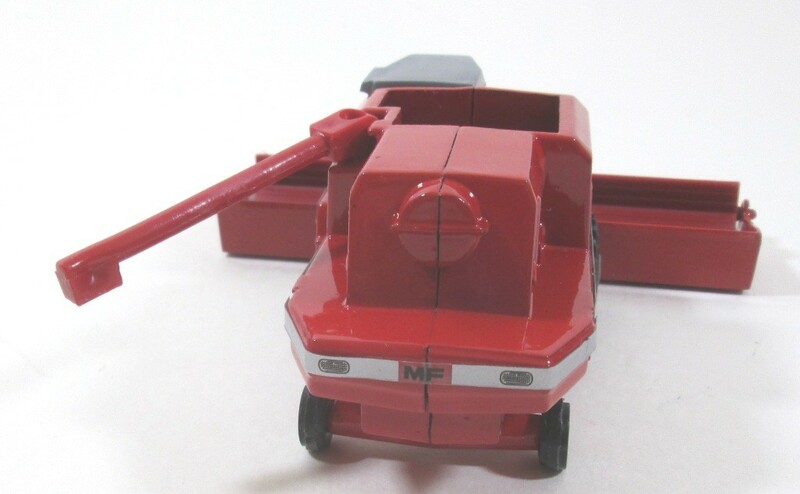 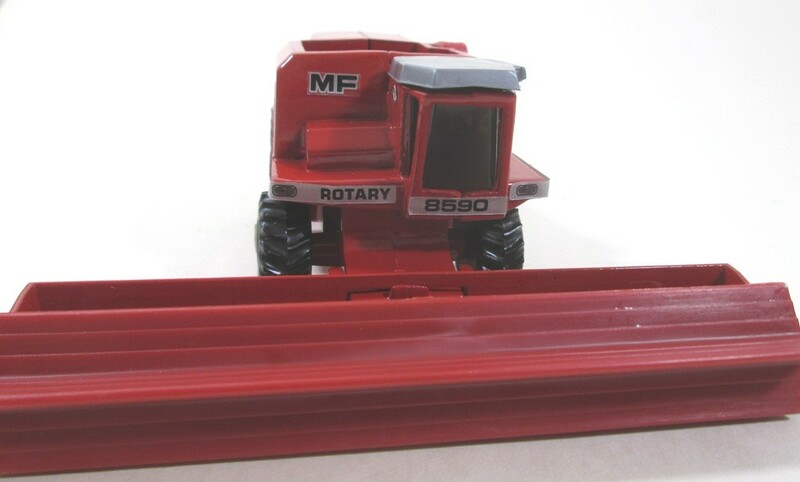 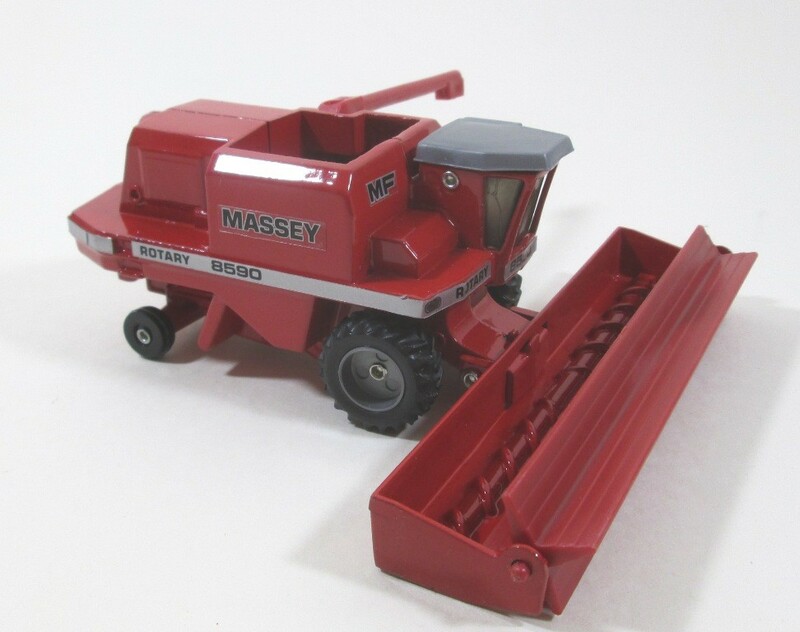 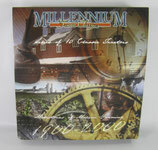 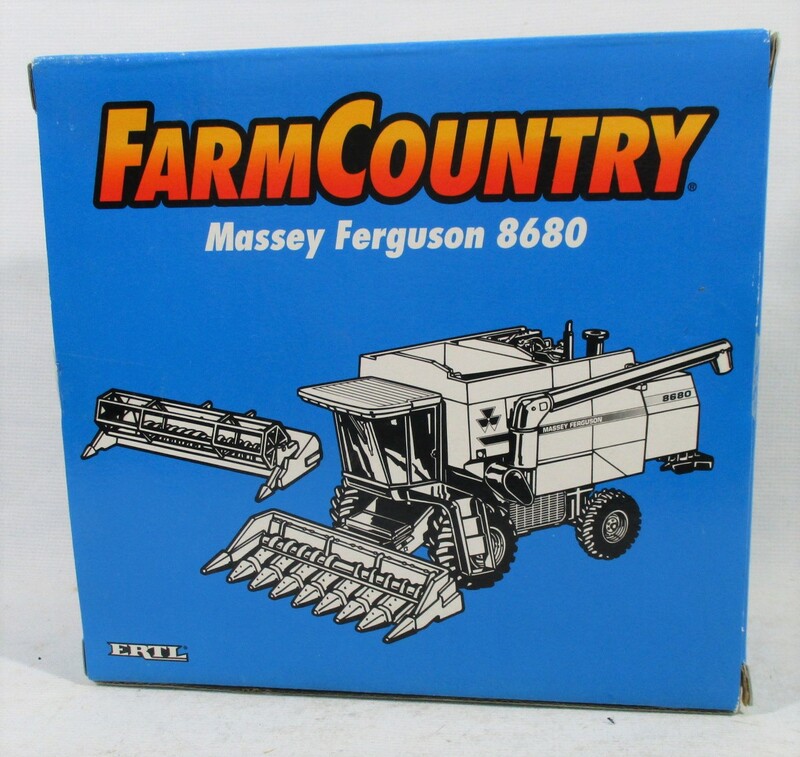 JLE Scale Models #FT-0815 MF 8590 Rotary Combine in 1/64 scale. 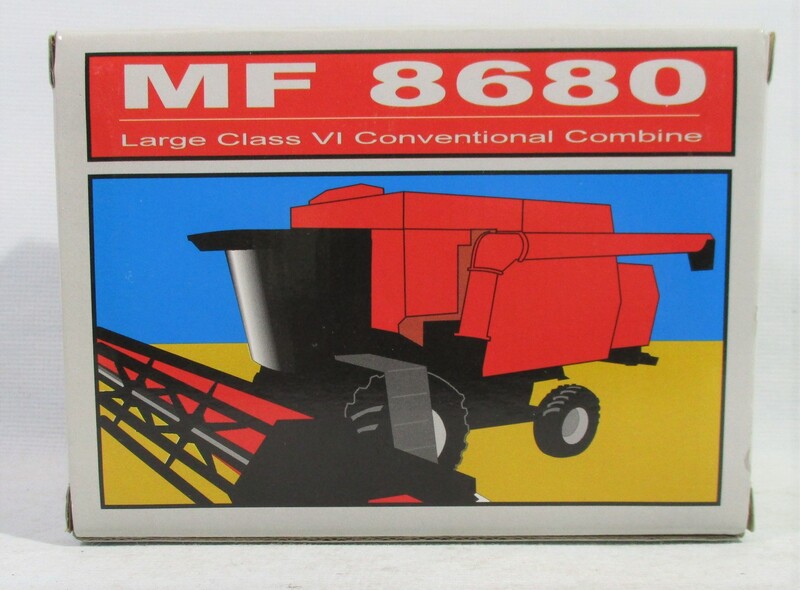 Ertl Stk# 230 MF 8680 Combine in 1/64 scale. 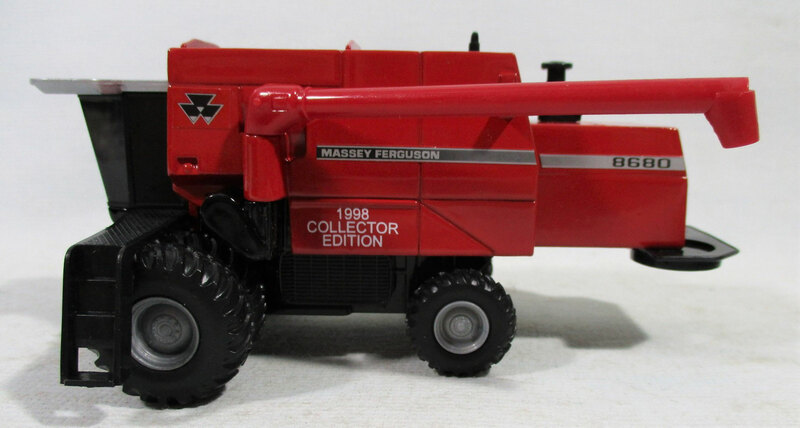 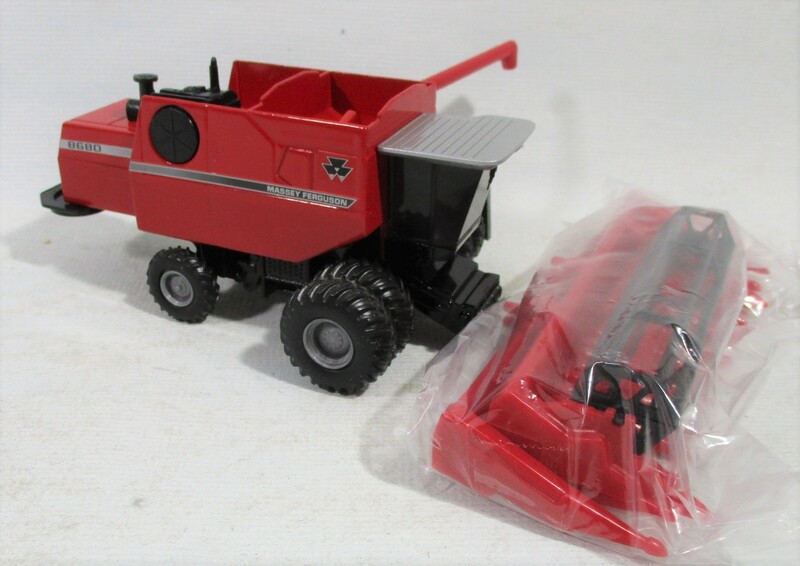 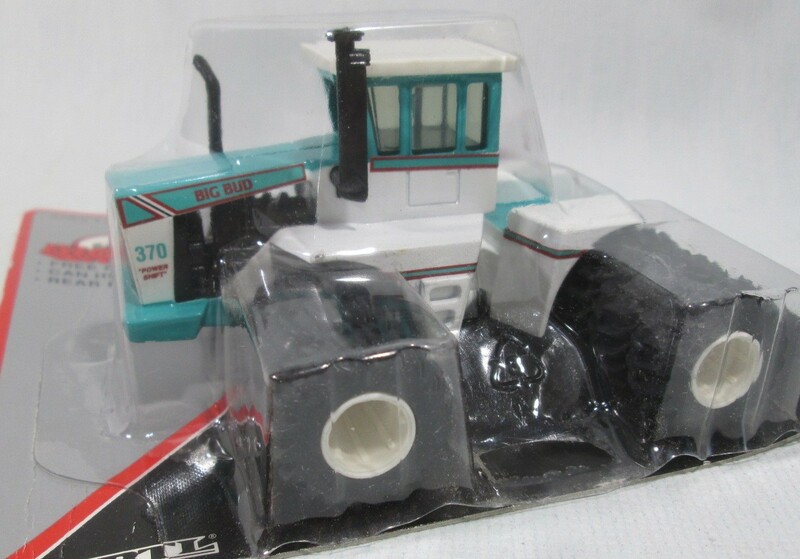 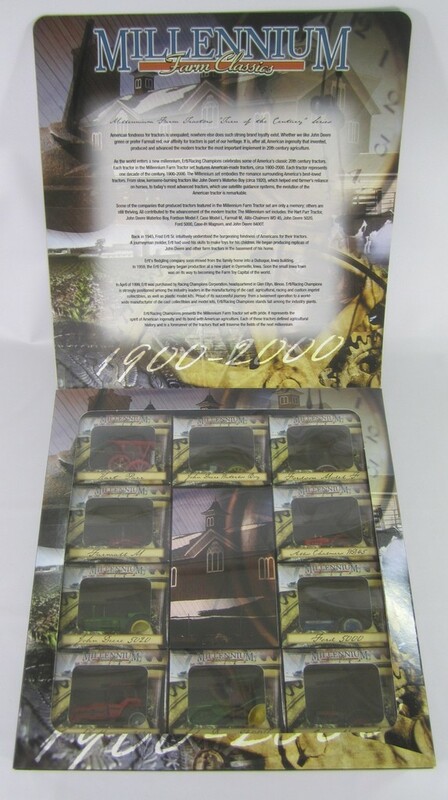 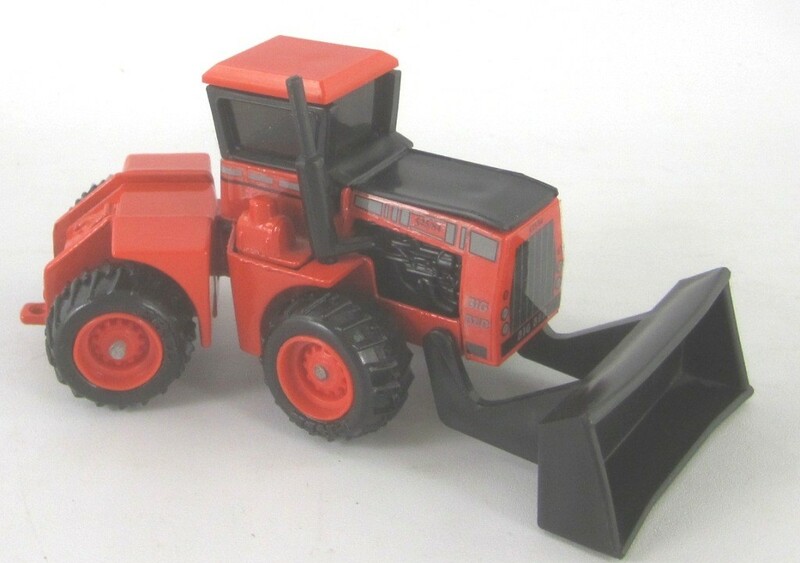 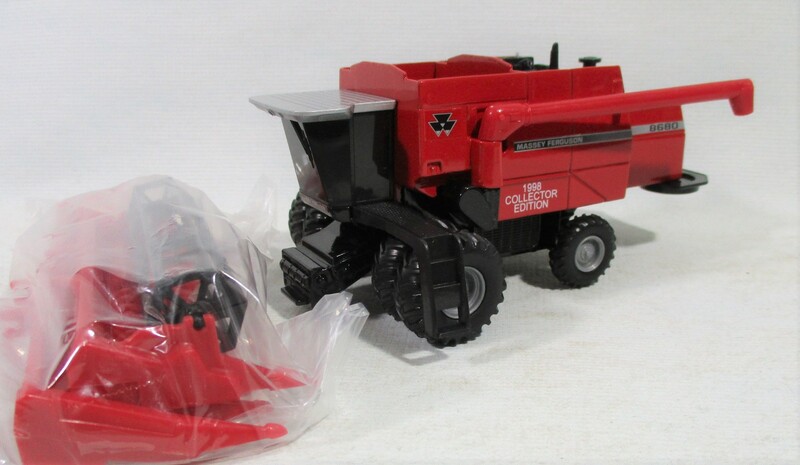 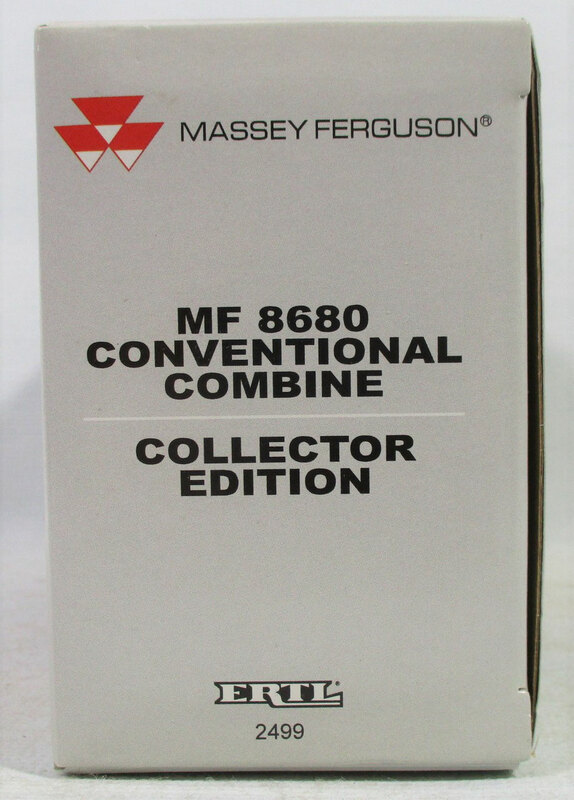 Ertl Stk# 2499 MF 8680 Combine collector edition in 1/64 scale.